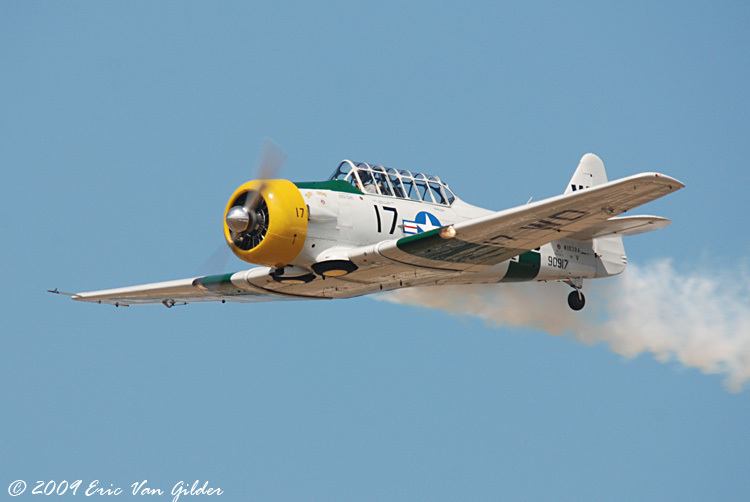 This is John Collver's 1944 North American SNJ-5 Texan. 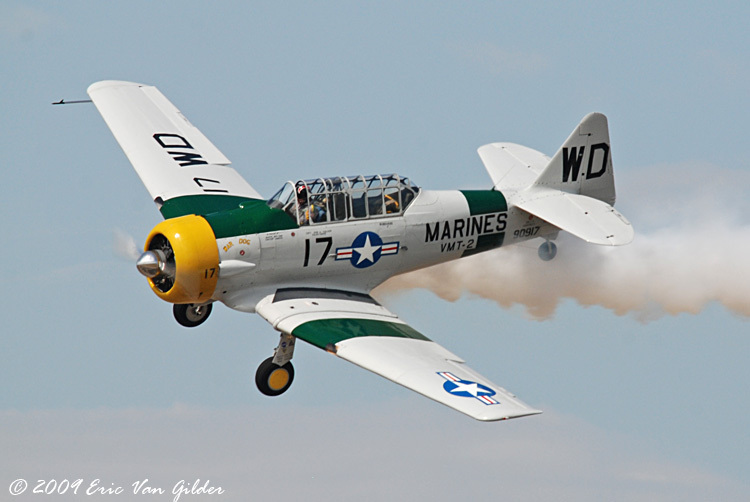 By the end of the 1950s, the US had retired all of it's Texans from active service. 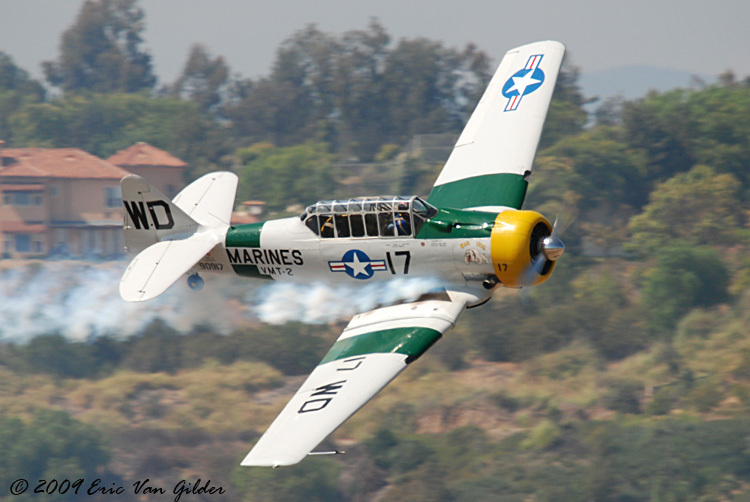 In foreign service, the Texan trained pilots well into the 1970s! 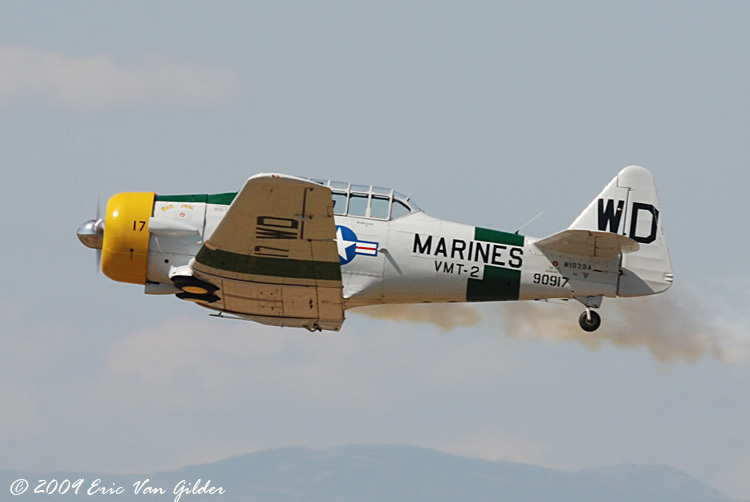 Over 17,000 were made and today, about 350 are still flying. 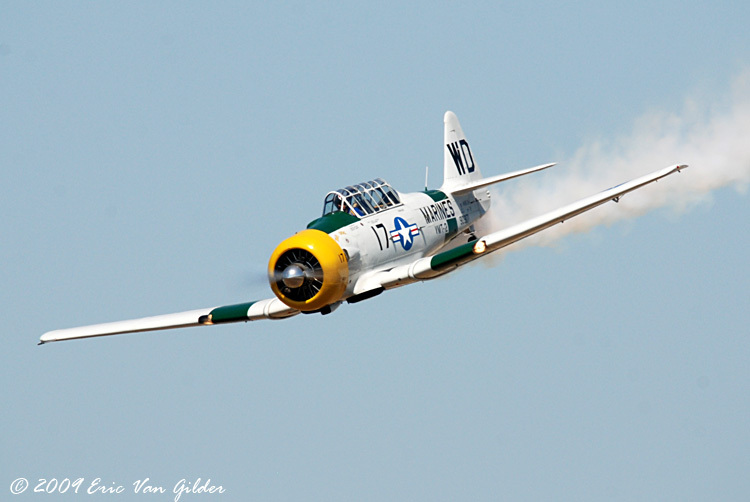 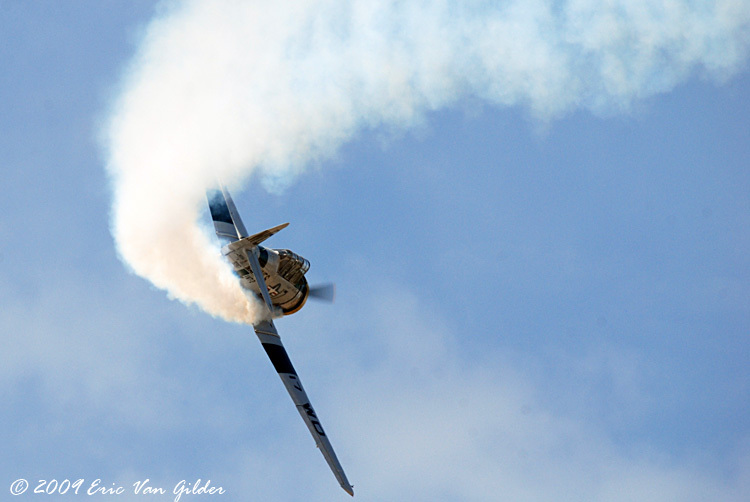 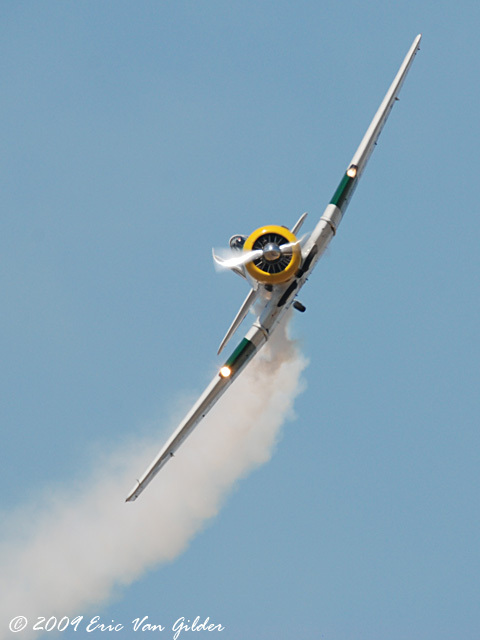 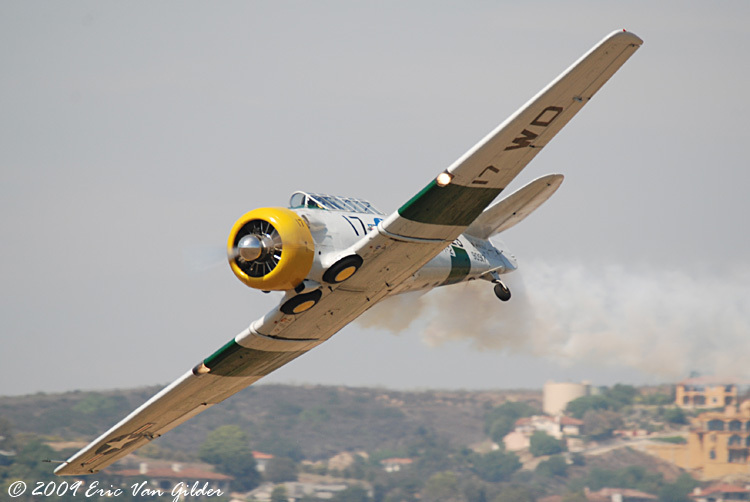 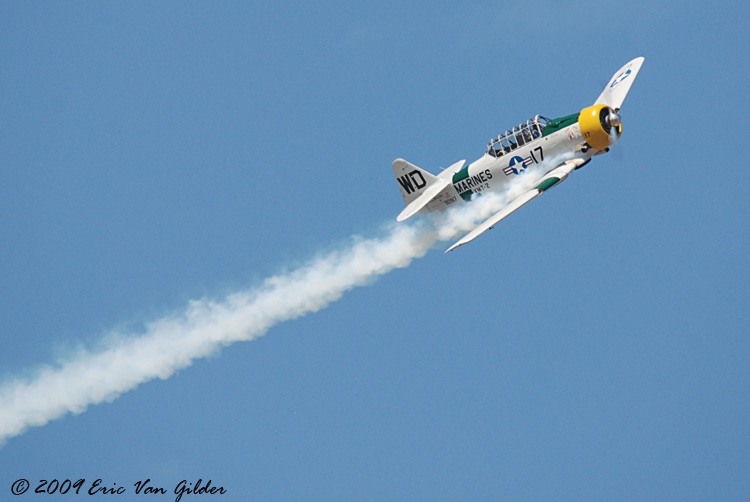 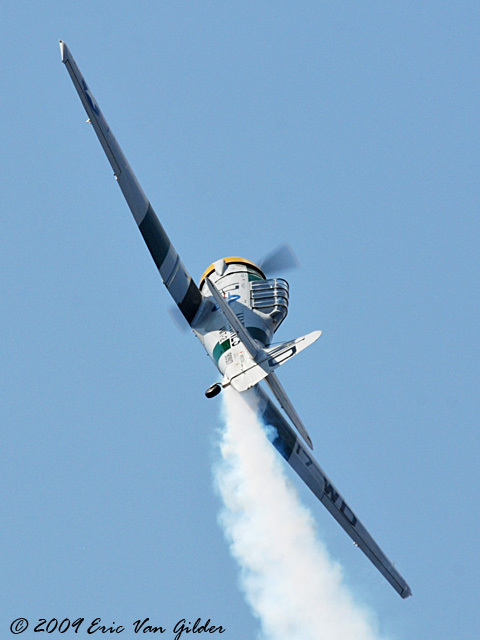 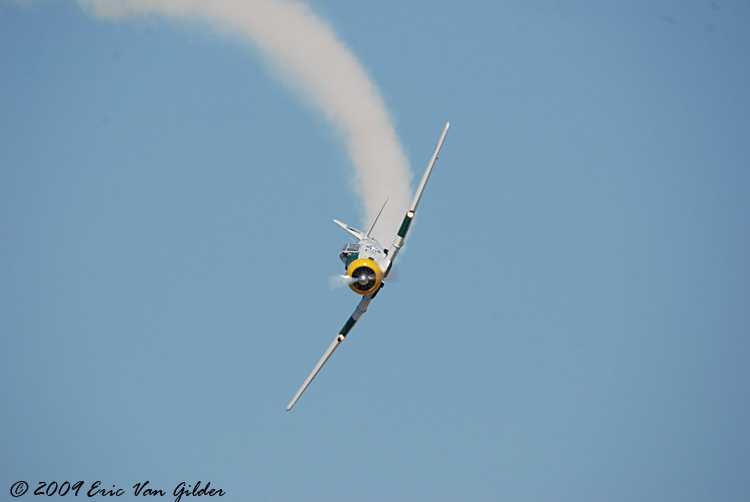 The routine that John Collver flies at airshows demonstrates maneuvers that were taught to pilots during the war. 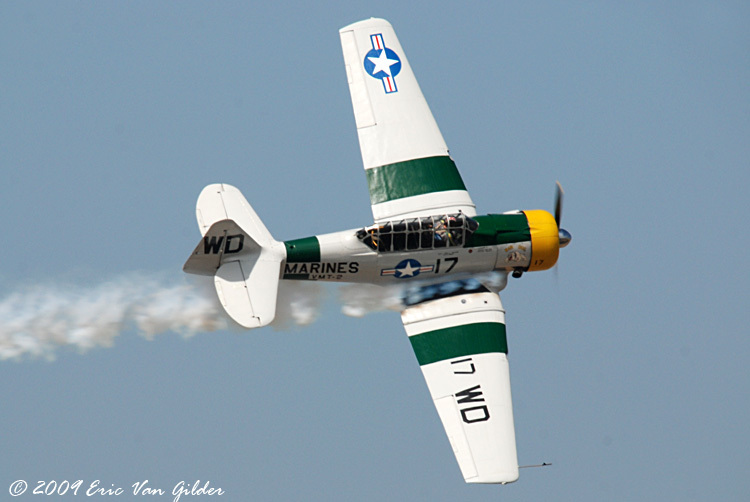 Many pilots learned to fly in this type of aircraft.